Just happens to have the same initials as general circulation models – that’s pure coincidence of course. Anyway, I’d like to introduce this little fella to you (see photo). After many minutes of painstaking research, Australian Climate Madness has decreed that all unusual or severe weather events of whatever nature, anywhere in the world, are solely the mischievous work of the Green Climate Monster (he gets bored easily). The GCM is responsible for the shrinking Arctic ice sheet, the growing Antarctic Ice sheet, advancing glaciers, retreating glaciers, heatwaves, cold spells, mountains of snow, absence of snow, droughts, floods, hurricanes, absence of hurricanes, very windy days, calm days, sunny days, cloudy days, foggy days, El Niño and his twin sister, the seasons, thunderstorms, absence of thunderstorms, excess rainfall, less rainfall, extinction of frogs, discovery of new frogs, fewer polar bears, more polar bears, everything else listed at the Warmlist, and plenty more besides. Now I know what you’re thinking. That’s totally ridiculous. Everyone knows that the GCM doesn’t exist, to which I would respond: disprove the existence of my little green friend. The GCM causes everything. Nothing you mention can possibly NOT be as a result of the GCM’s little games – he has a very commendable work ethic – I don’t know how he does it, to be honest. So any weather or climate phenomenon you care to mention results, either wholly or in part, from the wayward actions of the GCM. To which you will inevitably respond: you’re crazy, Joe – check yourself into the local loony bin – you need serious medication, pal. But simply replace my imaginary friend with “climate change” and that’s the situation we find ourselves in today. Climate change causes everything. Nothing can disprove climate change. Whatever happens, whether it be a long drought in Australia that “experts” thought would never end, to tragic floods in Queensland and Victoria, climate change is to blame – we know that because politicians, climate scientists and the mainstream media tell us. The problem with this is that it becomes an unfalsifiable hypothesis, and therefore inherently unscientific. Ask a climate scientist what weather pattern or climate signal would show anthropogenic climate change were not happening, and they wouldn’t be able to give you an answer. 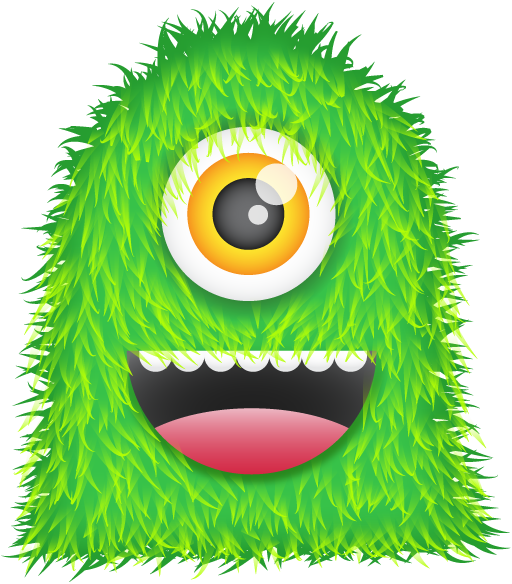 So you will see a lot of the Green Climate Monster in the future. Whenever, something is blamed on climate change, the GCM will pop up on this blog – because we know who’s really behind it, don’t we? « UK madness: "greenest government ever"
This is terrible. I’m so afraid (alarmed) I can hardly think to type this response. shudder…tremble, tremble… He may look a bit cutesy, but he is a terrible, fierce creature whose activities can only restrained by abundant taxation and world governance; by unelected political bodies. And how does this GCM exist? Why, it lives on mans emissions of carbon ofcourse. He used to eat natural CO2, but the man made CO2 is a different sort, it gets the GCM in excitable moods, Much like too much coffee. The Angry Green Warty Monster has an evil twin, we are indeed doomed! But I think it’s triplets, not twins. Manbearpig is still roaming around out there somewhere. I can prove the GCM doesn’t exist. I have signatures of 1,000 scientists that all say it doesn’t exist. I don’t need any more proof than that. Oh, and they all agreed you should send me some money so I can continue to prove he doesn’t exist by getting more people to agree with me. Small denomination bills to my PO Box, if you don’t mind. You would have thought that the scientists could smell a con a mile off as they are from the same ilk.